The 50KM Duo race is run in a team of two. 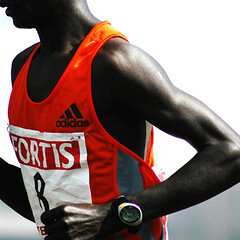 The running time of each individual runner will be added to make-up the total time for the team. Team members are not required to run together. 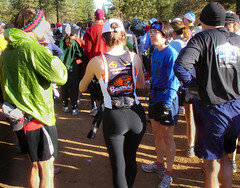 Our partner, SGrunners.com, will assist runners who need help finding a partner for the 50KM Duo race. This can be done on-line at www.sgrunners.com. Please provide name, category, estimated completion time, mobile telephone contact and email contact. *: Free PAssion EZ-Link Card Membership is applicable only to participants who are non-PAssion EZ-Link Card holders and participants who are holders of the old PAssion Card and have opted for an upgrade. ALL participants of the 50KM OPEN DUO, 25KM MEN & WOMEN SOLO, 10KM OPEN and 10KM VETERAN categories will receive a timing device. ONLY the first 1,000 participants of the CSF@SE 5km Chance Run will receive a timing device. Register for event now. Closing date extended to 22nd April 2010. For participants under the age of 21, download the Indemnity Form here.